The new egg collector Idra 22 is versatile, compact, highly productive and is the ideal machine for collecting and packing eggs for both large companies and individual operators. 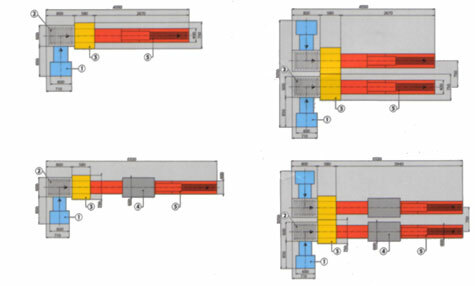 Idra 22 is directly connected by a feeder to the hen unit and can pack up to 22.000 eggs per hour (60 cases per hour) for packing on layers [44.000 eggs per hour, 120 cases per hour four double layer] and can pack 18.000 eggs per hour in plastic trays or packages and wood pulp. 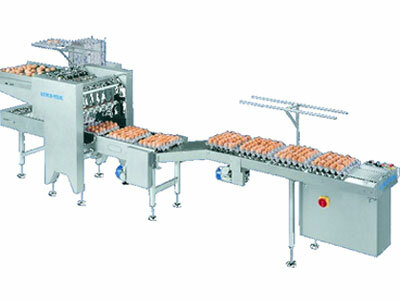 The application of pneumatic suction ensures that eggs coming from other hen units are gently handled. 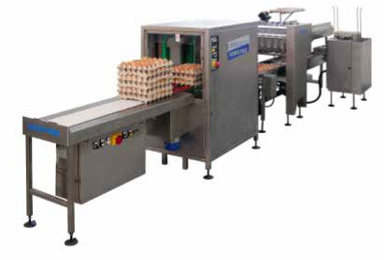 The packing system features special personalized ‘hands’ which gently guide each egg into its position in the carton. It is also compact: the single collector takes up very little space. The double collector takes a little more space (with two automatic packing units) but is still ideal for small areas.